Meadowlark Hills was built in 1993 and is operated by the City of Kearney. The course is a Championship 18-Hole layout that plays to a par 71 for men and a par 72 for women. This beautiful course is laid out on the bluffs of the Platte River Valley. The majestic view from the clubhouse is spectacular. On the course, water challenges you on several holes and the numerous sand bunkers are strategically placed to keep your ball from venturing too far from your target. Meadowlark Hills Golf Course is one of the sites for the Nebraska Boys State Golf Tournament. Please call 308-233-3265 for current rates. 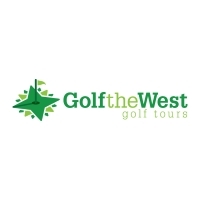 Call 308-233-3265 for rates and tee times. Contact Meadowlark Hills Golf Course at 308-233-3265 for more information and details on holding a golf outing at the course. Contact Meadowlark Hills Golf Course at 308-233-3265. Contact Meadowlark Hills Golf Course at 308-233-3265 for onsite or nearby dining options. This profile was last updated on 11/08/2016 and has been viewed 4,638 times.